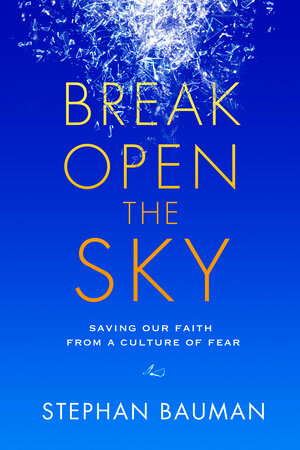 Break Open the Sky is an easy read, if you are prepared for all of the alarmist thinking. Granted, the title of the book should have prepped me for this. But, it didn't. In fact, this is why we don't watch the news. We have a pretty good idea of what is going on the world, as everyone else seems to be discussing it. But, for the first few chapters, ugh. We do not mean to dis the book, in any manner. Our inability to handle this type of information has only to do with us. We accept that. In fact, every review we've seen thus far has been ultra-positive. We simply mean that we are overwhelmed with the way that the information was presented. Again, our problem. Stephan Bauman is the author of Possible and the former president of World Relief, a church-based international relief and development agency that reaches more than five million vulnerable people a year. An ordained minister, he holds degrees from John Hopkins University, Wheaton College, and the University of Wisconsin. Stephan and his wife, Belinda, and their two sons live in Grand Rapids, Michigan.